Ocke Mannerfelt started the Mannerfelt Design Team in early 1980 and since then has specialised in well-designed boats and high quality engineering. MDT has always had a hand in designing racing motorboats and are now world leaders, with 16 World Championship titles in Offshore racing. Much of this expertise has been used in our standard pleasure boats, these being extremely easy to drive, safe and economic. Ocke’s son Ted is a qualified motorcar designer from RCA, Lotus Cars and Jaguar Advance Design, UK. Ted, who has done a lot of offshore racing, moved to Sweden in 2007 to start work at MDT. 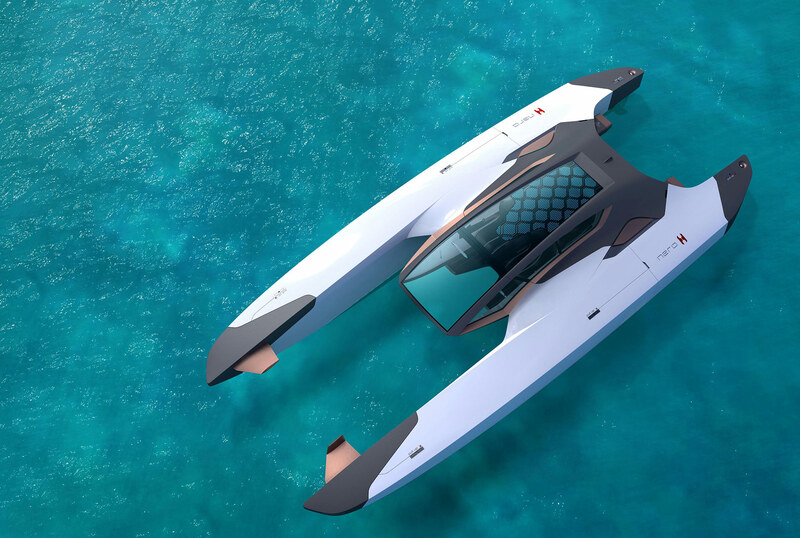 Ted is the company’s chief designer and his characteristic safe and secure designs influence all the new models- boat designs with a unique new look and modern, beautifully balanced lines. 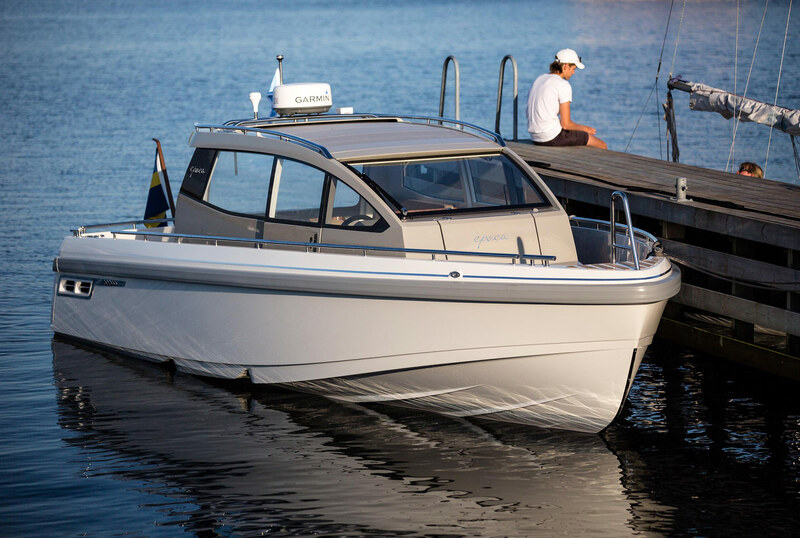 Brothers Hans och Lars Wiklund contacted the Mannerfelt Design Team in the summer of 2010 to discuss an entirely new boat model that would reflect present day Scandinavian boating life. The boat was to abound with simplicity, feature sheltered seating positions, good running economy, a proper head, be safe and secure and have beautiful, long-lasting lines – something like a modern SUV in terms of function and design. Once behind the wheel of the Epoca the simple, clean layout of the dashboard is immediately noticeable. Not one unnecessary feature, only those that are really needed and, as with ergonomics associated with the motorcar – everything in the right place. For bathing or just getting satisfyingly close to the surface of the water, the entire stern can be folded down and the flat aft-deck spreads out into a generously sized swimming platform. The centre cabin shelters you completely from the weather when you need it. A simple manoeuvre and the sliding doors can be moved aside to open out onto the walkaround deck, while the handsome and practical sliding roof opens up the cabin almost entirely. Sitting at the helm feels like driving a car and when you stand up you can see over the top of the windscreen. Aft, a sheltering canvas cover unrolls easily, fitted with slats to avoid fluttering. The efficient aerodynamic hull stems directly from MDT experience in designing successful offshore racing boats. Epoca is designed to run best at between 26 and 32 knots, at which speed fuel consumption is well under 1 litre per nautical mile. To all intents and purposes, the boat has no planing threshold and travels smoothly and efficiently without you having to fiddle about with trim controls. One important specification was a proper head. This has been positioned to the fore of the helm and is entered from the foredeck. The head is generously proportioned, light and airy and entirely protected. It will double as an easily accessible stowage space. The sharp bow of the hull cleaves through the water softly and efficiently. The boat always feels wide and stable, both in harbour and in heavy seas. The feel of driving the Epoca is akin to driving a modern car – easy and safe. 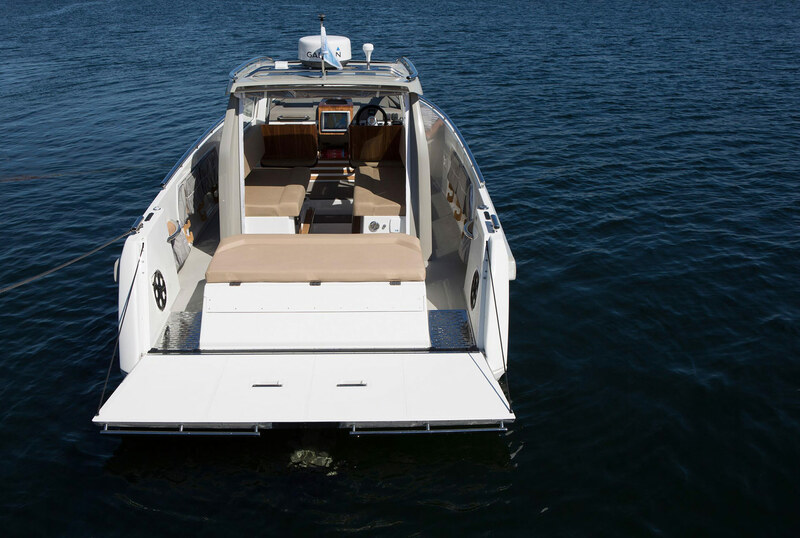 The high freeboard provides a sense of security for those moving about aboard. The Epoca is designed with strict and beautiful sweeping lines. The hull features a characteristic stem that emphasises her classic lines. The fender beading is far wider than the norm and is an integral part of the boat’s design. 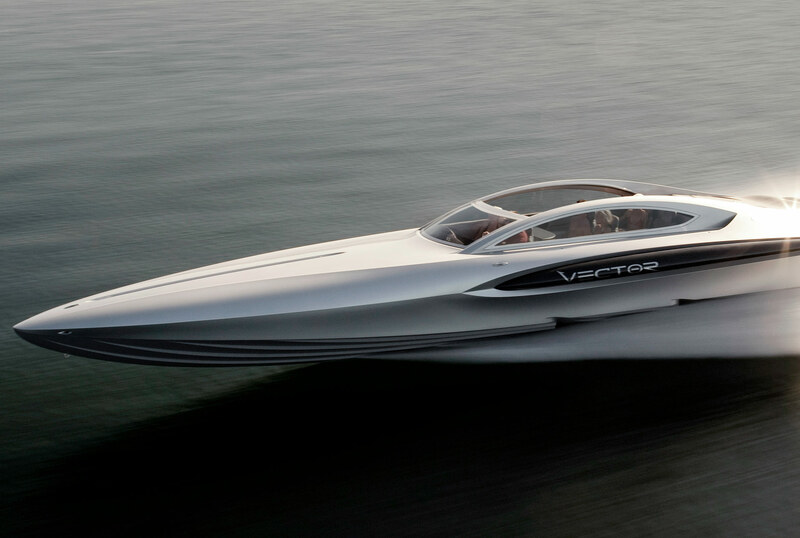 The boat’s appearance presents an ultra-modern design with classic lines.